Crossrail LTD was first established in 2001 for the purpose of building a new railway line that will be known as the Elizabeth Line when it opens joining the Central London routes. It is a subsidiary of the Transport for London, jointly sponsored by TFL and the Department for transport. 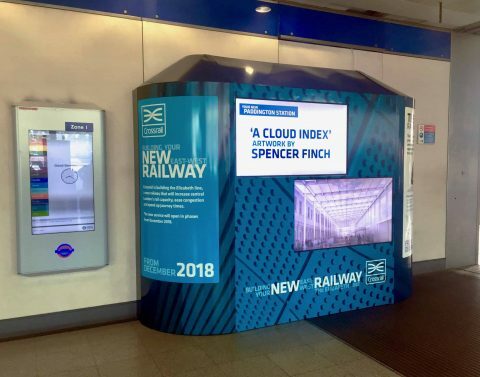 To keep the public updated and appeased, Crossrail have continued to host exhibitions and pop up installations for the all around London. Vortex Events has worked on a number of these projects and our portfolio with them continues to grow. In 2015 we worked on the Crossrail Exhibit at the London Transport of museum. The Crossrail Tunnel Breakthrough press release that showcased the Farringdon line ready from travel from east to west. A promotional Crossrail portable pop-up exhibition project was also provided by vortex events. Since then we have gone on to work on more projects with crossrail.